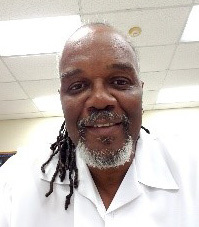 Carlos Hardy MROCC – Connections Corner October 2017 | The Danya Institute Inc.
Carlos Hardy is the Founder and CEO of MROCC, Maryland Recovery Organizations Connecting Communities. Speaking of age, on the 17th of October I will reach the ripe young age of 62 years young. Even with the morning aches, the consistent greying of my hair (just happy to have hair), or any of the other proclivities that come with the passage of time, I consider myself blessed beyond belief. While said blessings are too numerous to count or even prioritize, without doubt the biggest would have to be the birth of my first and only child, Antonio Clay Hardy, at the tender age of 51 years-old. Speaking of TIME, just as my life has, and continues to, change so has America’s (including my beloved Maryland) challenges, struggles, and approaches in dealing with substance abuse, especially as it relates to today’s “declared” opioid epidemic. Like it or not TIME has served in changing public perceptions and views of drugs and addiction as primarily issues impacting urban or communities of color only. Time has shown this is definitely not the case. There are any number of schools of thought on how we have reach the point where thousands, literally thousands, of our family members, friends, neighbors, and co-workers are dying from this terrible DISEASE every single day. Some might suggest an over prescribing of opioids as the main culprit, others might identify social and economic factors, while some might point to the introduction of fentanyl and carfentanil into today’s drug supply as the main reason so many are overdosing, even dying today. TIME has also failed to delimit public debate around lack of sufficient funding, the use of prescribed medications in treating substance use disorders, or in effectively dealing with N.I.M.B.Y (Not in My Back yard) attitudes voiced by community leaders and key decision makers on the issue of community-based treatment. Not to mention bias and stigma often directed at innovative harm reduction strategies such as needle exchanges and safe injection facilities. In closing, my prayer is that we, as a country, eventually reach a TIME where the only thing that matters is that we, as a society, and as a system, realize that we don’t have one life to spare. TIME, along with personal and professional experience, has served in showing me there is a place for debate and healthy dialogue on the issue of drugs, addiction, and treatment in America. But TIME has also served in how I have come to view this issue and that is “All Lives Matter” and that we don’t have one life to spare when it comes to the issue of addiction in America.